Growing up, my family only recycled when they saw the payoff in cash. Back in the 1970s we would take our bottled soda glasses back to the store for a few cents each. In the 1980s, still soda drinkers, we recycled our soda cans by taking them to the aluminum recycling center. We were helping our planet, right? Well, maybe. Yes, we were recycling, but the main goal was to get the cash. We weren’t exposed to the best reason to recycle. If so, then we would have noticed other ways we could have recycled, such as cardboard boxes and plastics. In a family of five we could have reduced our trash by half had we recycled everything we could. But back in the 1970s and 1980s I don’t remember the green recycling boxes in our town promoting recycling. Even though Earth Day had already been created, my small town wasn’t creating easy ways for its citizens to recycle nor take up the cause. I don’t even remember the Adopt-A-Highway litter pickup program until my late teen years. Thankfully our country, even our small towns, have become conscious of how important it is to not only recycle, but to conserve water, and find additional ways to protect our planet. We can thank Senator Gaylord Nelson for getting citizens and communities thinking. According to http://nelsonearthday.net/earth-day/, Gaylord wanted to use the momentum from campus activism in the late 1960s to get students energized for a national day to promote saving our environment. While hoping to get national attention out to other politicians to increase awareness of environmental issues, Gaylord wanted the day to be filled with activities and opportunities for individuals and communities to take part in cleaning and protecting the environment. Even though Gaylord continued to pursue getting the government involved, it never materialized to the extent he had wished. But what Gaylord had accomplished was in some ways better- college students stood behind Gaylord and supported plans of community and individual acts of helping the environment. Their own movements led to other American citizens seeing the importance of protecting our planet for future generations. Individual events led to other events and soon people were consciously aware of the need to save our environment, whether it meant recycling, cleaner water, or limiting air emissions. 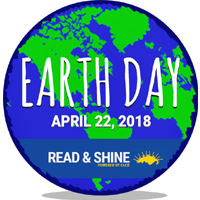 Gaylord’s grassroots idea is now part of an annual Earth Day that is not only celebrated in America, but internationally in over 180 countries. His idea proves several things. One, that if you believe in a cause, one person can make a difference. Two, most of the time you will find others who believe in your cause. And third, the health of our planet is important to everyone, for today and for the future.